Summary: Learning a new language should be fun! So sit back, laugh, and learn Spanish by following the antics of the Patterson family. These cartoons will have you laughing your way through your lessons as you expand your vocabulary, comprehension, and conversational skills. 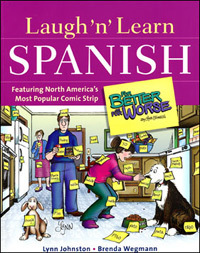 Through the comic strips and their universal themes of family values in a modern world, you'll learn how to talk in Spanish about everyday things: making demands and requests, expressing hope and plans for the future, discussing household chores, going shopping, exploring relationships, and so on. The engaging story lines offer a strong incentive to keep reading and learning. Summary: For anyone leaving home for the first time, this guidebook is an essential tool. Award-winning cartoonist Lynn Johnston, and her longtime friend Andie Parton, take readers down the rocky but fun road to independence. Never preachy, always informative and full of laughs, this book is packed with tried and true nuggets, from tips on finding an apartment, to tips on getting your eviction notice reversed—from someone with a sense of humor who's 'been there, done that.' It is crammed with advice on furnishing an apartment, mastering the ancient art of bartering, coping with a boss without a heart, the prof. without a clue, moving, cleaning, dealing with the roomate from hell, and more. 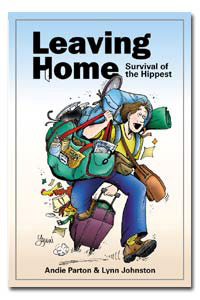 Leaving Home not only explains how to avoid common pitfalls, but also how to get out after you've landed in them! 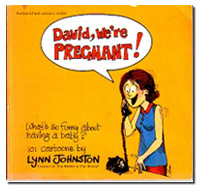 Pearls of wisdom, and insightful cartoons, make this a must-read for anyone starting life on their own. 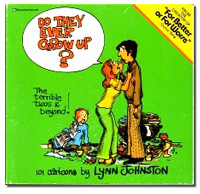 This book was written by Andie Parton, with illustrations by Lynn.